5pc Oil Filter Kit with Crush Washer. 803916010 (Crush Washer). Genuine Subaru. 2013-2019 Subaru All 4 Cyl Models only. 2012-2019 Subaru Impreza. 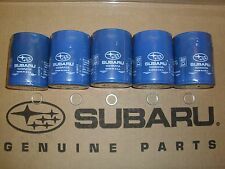 1 Year Subaru Parts Warranty. 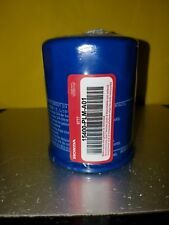 Part#15208AA15A (oil filter). In-line Clear Fuel Filter fits 1/4" or 6mm-7mm hose lines. Good to replace it at regular intervals. Color: Yellow. Size: about 56 x 27mm (L Dia.). 100% High Quality 6061-T6 aluminum. We do our best to resolve any issue. We will do everything we can to give you a satisfying solution. Toyota RAV4 / Tundra 2006-2014. Toyota Camry / Yaris 2007-2014. Toyota Sequoia / Highlander / Land Cruiser 2008-2014. Toyota Avalon 2005-2014. Toyota Matrix 2009-2013. Toyota 4Runner 2010-2014. Toyota Corolla / Venza 2009-2014. Number of flutes: 14. Oil Filter Cap Wrench Tool For Toyota Prius Corolla Rav4 Lexus. 2010-2016 Rav4. 2009-2016 Corolla. 1990-2016 Camry 4 cyl, V6 (2007-2008). 1x Oil Filter Cap. Detail Image. 2007-2016 Prius. Trending at C $6.60eBay determines this price through a machine-learned model of the product's sale prices within the last 90 days. Type: High Efficiency Cabin Air Filter. HONDA CIVIC IX (FK) 2012/02-. HONDA CIVIC IX Saloon (FB, FG) 2011/09-. HONDA CIVIC IX Tourer (FK) 2014/01-. HONDA CIVIC VII Saloon (ES) 2000/12-2006/04. HONDA CIVIC VIII Hatchback (FN, FK) 2005/09-. 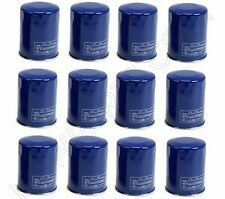 11 Pcs Aluminum Fuel Trap Solvent Filter For NAPA 4003 WIX 24003 Auto Filters 1x6. 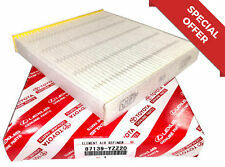 For NAPA 4003 WIX 24003 Fuel Trap Solvent Filters. 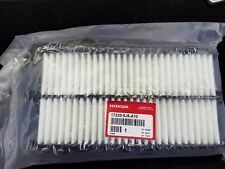 1 x Set Of Fuel Trap Solvent Filters(11 Pcs). Material: Aluminum. Tube made from 6061-T6 aluminum. 2014-2017 Acura RLX. 2010-2013 Acura ZDX. 2007-2018 Acura RDX. 2005-2018 Honda Odyssey (not including EXL version). 2009-2018 Honda Pilot. Product Type: Deodorizing Cabin Air Filter. 2004-2014 Acura TSX. Paint Code PAF. Cool Gray Khaki. Genuine OEM Subaru. 2018 - 2019 Subaru (All). 1 Year Subaru Parts Warranty. Touch Up Paint. Includes Paint & Clearcoat. For Honda Insight 2010-2014. for Honda Civic 2016-2018. for Honda HR-V 2016-2019. for Honda Fit 2009-2019. for Honda CR-Z 2011-2016. Due to light and screen difference, the item's color may be slightly different from the pictures. Easy to fit, so you can adjust to the size required with flat head screwdriver. Our high flow air filter kit can help your engine to draw more cooler air resulting in better throttle response and higher explosive horsepower output. Type: Fuel Filter. Due to light and screen difference, the item's color may be slightly different from the pictures. Reverse venting design reduces recoil and blow back while eliminating muzzle rise. Material: 7075 Aluminium. Important Notes. 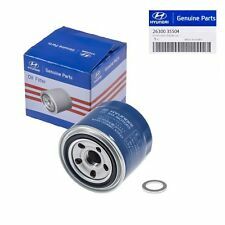 For Napa 4003 Wix 24003 Fuel Filter 1/2-28 B1 Billet Aluminum Low Profile. 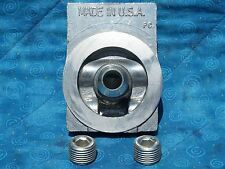 For Napa 4003 WIX 24003 1/2"-28. 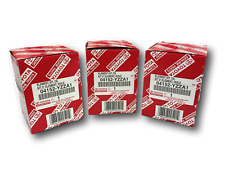 Manufacturer Part Number: WIX 24003. Other Part Number: NAPA 4003. includes holding spring for installation(Spring Makes the filter work stable,better than other filter without that). Removes oil filters ranging in size from 55 mm to 108mm. Item Type: Wrench. Use with a 1/2" or 13/16" Square Drive Tool. The Car Light. Cash is accepted, but only upon local pick-up. Other Part Number: 0001802609, HU718/5x. -Filter Size(approx.). : 115mm x 63mm(L W). -Material: Filter paper. 1 x Oil Filter. (E.g. you brought wrong size or wrong item). Communication is the best way to solve problem. 11 42 7 622 446 MINI GENUINE. 2007-2008 Cooper Hatchback. 2009-2011 Cooper. 2011 Cooper Countryman. Toyota Corolla / Venza 2009-2014. Scion xB / xD 2008-2014. Toyota RAV4 / Tundra 2006-2014. Toyota Matrix 2009-2013. Toyota Camry / Yaris 2007-2014. Toyota Sequoia / Highlander / Land Cruiser 2008-2014. The Oil Filter Should be Changed Under The Following Situations Material: Filter Paper Plastic Rubber. When Change The Oil. Highest Filter Efficiency. Digital Photos Will Be Required For All Cases. Acura CSX 2006. Product Type: High Efficiency Cabin Air Filter. How to replace a cabin air filter. Honda Civic 2001-2005. Acura RSX 2002-2005. Acura EL 2002-2005. Honda Insight 2000-2006. Honda CR-V 2002-2006. There are 2 different technologies of cabin air filters For Camry 2001-2006. Easy install, durable, contains carbon. This air filter fits for following models Prevents harmful pollutants from the surrounding air entering the cockpit via the air-conditioning and ventilation shafts. Size 64.5mm - Number of flutes 14 - Drive - 3/8". 1 x Oil Filter Wrench. Special designed for plastic oil filter cap of TOYOTA/LEXUS. Most of Toyota 4 Cylinder (1800CC - 2000CC). Suitable for Toyota - Allion, Auris, Corolla axio, Corolla fielder, Corolla rumion, Isis ist, Noah, Premio, Prius, Voxy, Wish. 1 x 8mm Fuel Filter. Universal fuel filter can be used for tractors,cars, trucks, motorcycles, RV's and any gas powered engine. - Application:3/8" Fuel Line - 3/8" Fitting Or Connector At Each End. You should receive item within 3-5 weeks. 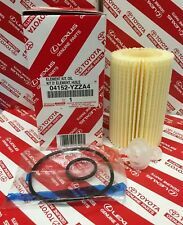 Brand new oem Honda Acura engine oil filter and drain plug washer. Free shipping with tracking number. One buying quantity will give you three filters and three washers. This product is designed to increase performance by allowing more air flow into the engine than ordinary paper filters. Specially designed to add horsepower and acceleration to your car or truck while providing exceptional engine protection. The cabin air filter prevents harmful pollutants from the surrounding air entering the cockpit via the air-conditioning and ventilation shafts. Mazda 3 2014-2017. Mazda 6 2013-2017. Mazda CX-5 2012-2017. ENGINE AIR FILTER CABIN AIR FILTER. Air filters can vary from different years or engine sizes. Therefore it is important to precisely recognize the Year, Make, Model, and Engine Size altogether, in order to make sure your order is the correct one you need. Fit Infiniti FX35 FX45 G35 M35 Mitsubishi Lancer. 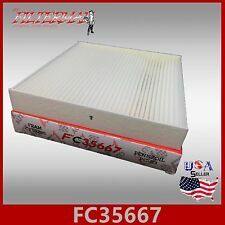 1x Cabin Air Filter. (The Compatibility Is Just For Reference. Other Part Number:7803A004, 999M1VP051, C35530, 24857, 49363, CF1063. ). 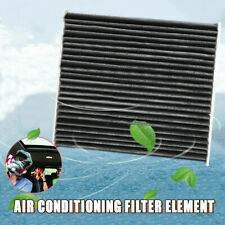 Product Type: High Efficiency Cabin Air Filter. How to replace a cabin air filter. Mitsubishi Mirage 2014-2016. Material: Full Fiber. High dust holding eapacity. Applicable models Economical,practical and easy to install. 2011-2015 Kia Optima. 2011-2014 Hyundai Sonata. 2013-2017 Hyundai Santa Fe XL. 2013-2018 Hyundai Santa Fe. Product Type: Deodorizing Cabin Air Filter. How to replace a cabin air filter. 2011-2017 Kia Sedona. ENGINE AIR FILTER CABIN AIR FILTER. Ø Is this the right part for my car?. V6 3.5 [2013-2018]. Ø The item I received does not fit my car! V6 3.5 [2010-2018]. REPLACE : O.E.M. # 17801-0P050 & 87139-YZZ08. E60 525i Sedan, USA. E60 530i Sedan, USA. E61 530xi Touring, USA. E60 525xi Sedan, USA. E60 530xi Sedan, USA. E84 X1 35iX SUV, USA. E84 X1 28iX SUV, USA. E91 325xi Touring, USA.